Could Samsung’s much hyped Galaxy S4 be part of a larger strategy? Samsung already launched a scaled-down version of its widely popular Galaxy S3 in the UK last year, and now the manufacturer may follow suit with its rumored next-generation handset. Samsung is reportedly preparing to launch three devices under the codename "Project J," one of which could be a miniature Galaxy S4. According to Samsung news blog Sam Mobile, one of the handsets grouped under the "Project J" moniker is being referred to as “Project J Mini.” The author behind the post writes that this information is based on allegedly leaked accessories for Samsung’s future smartphones. “The device uses almost the same accessories as the Galaxy S IV, only this device can’t use the wireless charging dock,” Sam Mobile’s MartinR writes. The rumored Galaxy S4 is also part of Samsung’s purported "Project J" group, and Sam Mobile hints that the third could be some sort of fitness gadget — perhaps an answer to Apple’s rumored iWatch. This third device has been referred to as “Project J Active” and allegedly uses accessories such as an arm band, bike mount and a pouch. 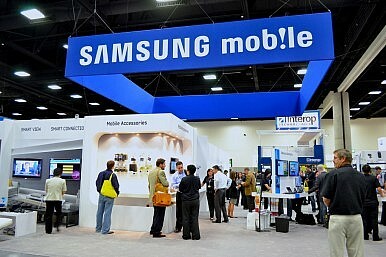 In addition to the internal "Project J" title, Samsung has also reportedly penned nicknames for each individual device. The Galaxy S4 is supposedly codenamed “Altius” while the S4 Mini is believed to be called “Serrano.” The alleged fitness device goes by the codename Fortius. It’s important to remember that since this information isn’t actually coming from Samsung, there’s a strong possibility it isn’t true. Sam Mobile has a mixed track record when it comes to predicting the company’s product launches. For example, back in August Sam Mobile predicted Samsung would launch a Windows Phone 8 handset now known as the ATIV S. The blog was correct about the model number and the speed of the device’s processor, but got the size of the display wrong. Samsung is rumored to unveil its next-generation Galaxy S device at a Samsung Unpacked event on March 15, and the handset is expected to go on sale shortly after in April. Sam Mobile also reported that the alleged Galaxy S4 will launch in Europe and Asia before making its debut in the U.S., Australia and Africa around May or June. Rumors about Samsung’s Galaxy S3 successor have invaded the Web since September, when the Korea Times published a report spilling the smartphone’s purported specs. The most recent bit of speculation suggests that the Galaxy S4 will come with a 4.99-inch AMOLED display with a resolution of 1920×1080, a quad-core Exynos processor, and a 13-megapixel camera. In addition, another report from Korea published in DDaily suggested that Samsung could be planning to launch new gesture-based technology on its Galaxy S4. Of course, there’s no indication that there’s any truth behind these rumors, but fans will only have to wait about a month to see if Samsung does unveil its next flagship in March.